Are you walls needing a revamp? The colour of your walls can change the look of your home. 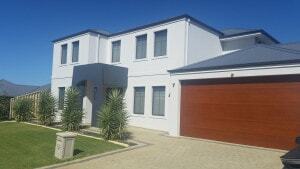 Residential Painters Perth Make your house feel like your home! House Painting Perth Jays Painting Services offer a wide range house painting services in Perth. Nothing reinvigorates a property and makes it look vibrant and well-maintained like a fresh coat of paint delivered by leading Perth painters, Jays Painting Services. With 20 years’ industry experience, great customer service and genuine pride and passion for delivering high-quality work that looks fantastic year in year out, we’ll help you achieve the perfect look for your home or place of business. Our team of commercial and residential painters in Perth arrive on time every time, ensuring you never have to wait around for a painting contractor to arrive. But punctuality and reliability is just the beginning when the team at Jays Painting Services gives your home or workplace a new lease on life – our residential and commercial painters achieve fantastic results. We consistently achieve outstanding results by getting to know our clients’ needs and the outcomes they want to see to produce a premium-quality finish with impeccably selected colour schemes. Whether it’s an office interior or the exterior of a residential property, we’ll work with you to bring out the best qualities in your home or workplace with an expert, long-term painting solution. At Jays Painting Services, we understand the investment that you’ve made in your home or place of business and how important it is that you get the painting solution you deserve. What’s more, every property is different and a painting solution that works perfectly for one property may not be suitable for another. With free quotes and expert advice delivered by our commercial and residential painting professionals who’ll advise you on colour schemes, business branding themes and more, you’re empowered to make the right decisions about the painting solutions you have implemented. For commercial and residential painting solutions across Perth, call Jays Painting Services – 0430 412 008.